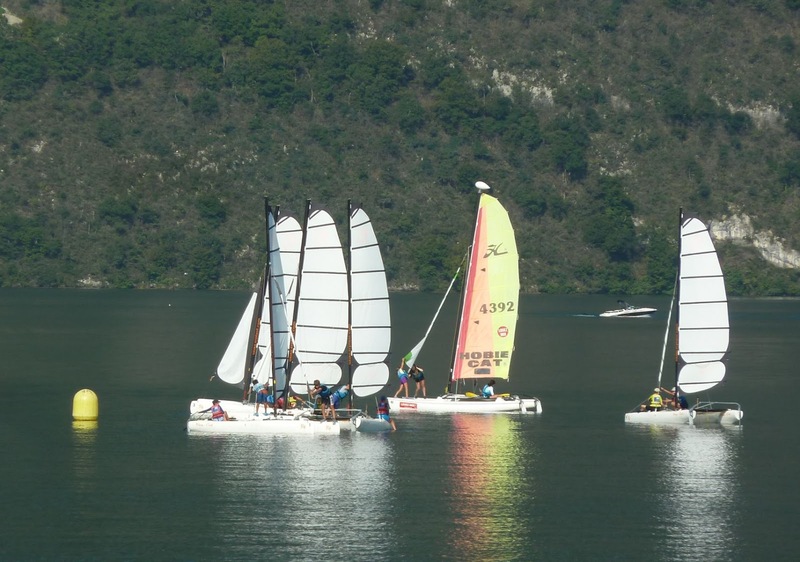 I've said before that mountains are the best place for sailors away from the sea, we've been staying in the French Alps for a couple of weeks in a village overlooking Lac du Bourget thinking that we could perhaps have the best of both worlds. 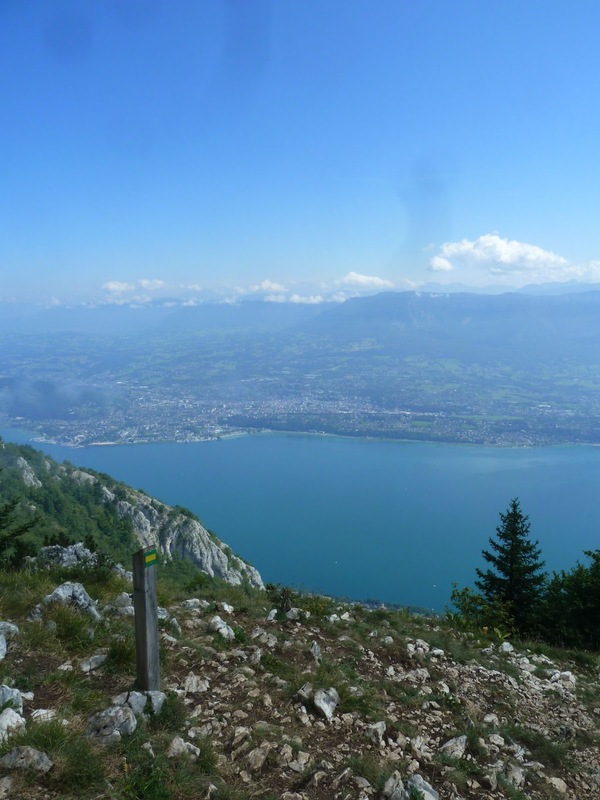 The area is idyllic, the lake is at 220 meters altitude, our house was at 640 meters with fantastic views while behind us the peak Le Revard rising up to 1500 meters. 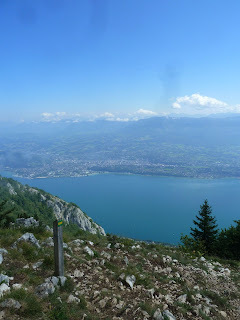 Lac Bourget is about the same size as lake Windermere at 18Km long but as a friend joked, surrounded by real mountains. Of course there are other ways for a stranded sailor to make the most of light airs, every day we watched the parachutists jumping off the Revard and gliding high above our house. 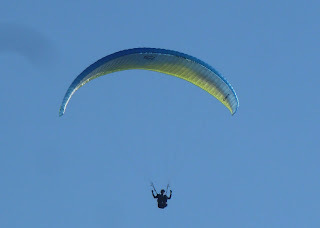 Joseph was keen on taking a tandem flight, but even that was outside mum and dad's comfort zone - maybe in a couple of years. 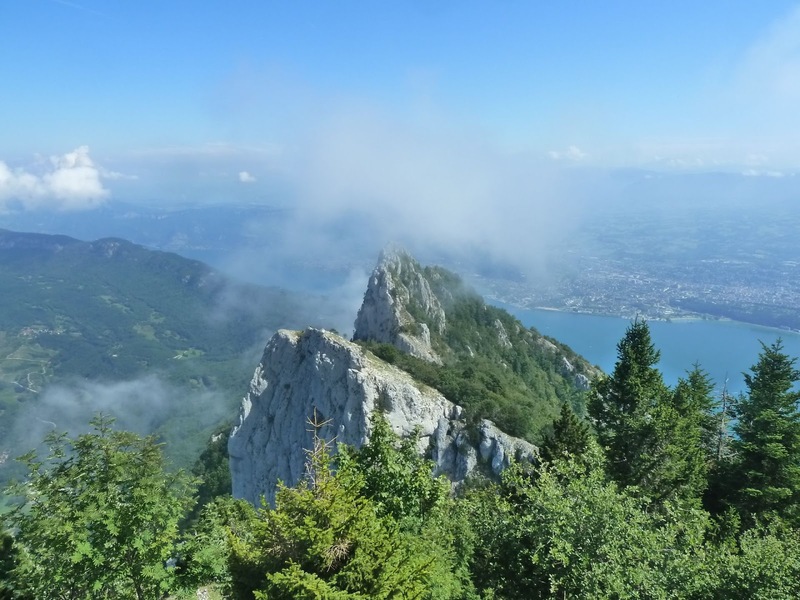 Fortunately Joseph decided that he really preferred the mountains to the lake, so we spent more than a few days hiking around the peaks. Below looking down on the Dent du Chat with the lake beyond, it's about 1500 meters altitude and breathtaking. 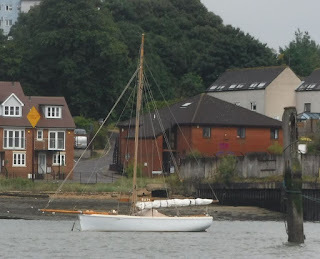 Itchen ferry Nellie moored at Itchen Ferry, or at least pretty much in that location as the ferry is long gone replaced by the Itchen bridge linking Woolston to Southampton, but the foreshore just upriver from the bridge will be very familiar to this local boat. 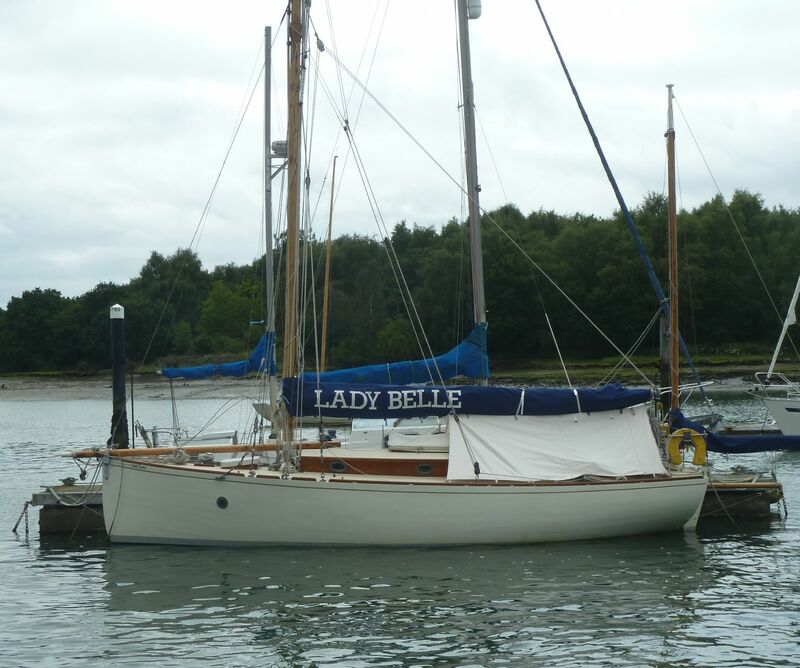 Nellie was built in 1862 by Dan Hatcher at his Belvidere boatyard in Southampton and is one of the few original Itchen ferry types to survive today. 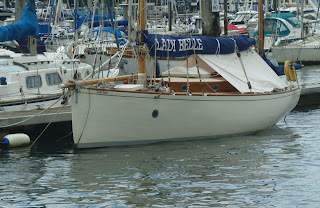 Following a fire she was purchased and repaired by Henry Banks whose family cared used the boat up to the 1950's. 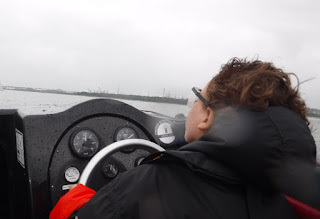 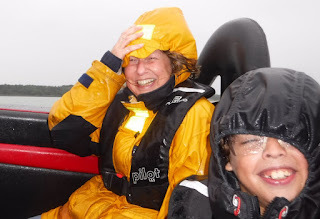 As a surprise birthday present I was given a power boat taster session, unfortunately the day was dull, overcast and just as we arrived there was torrential rain. 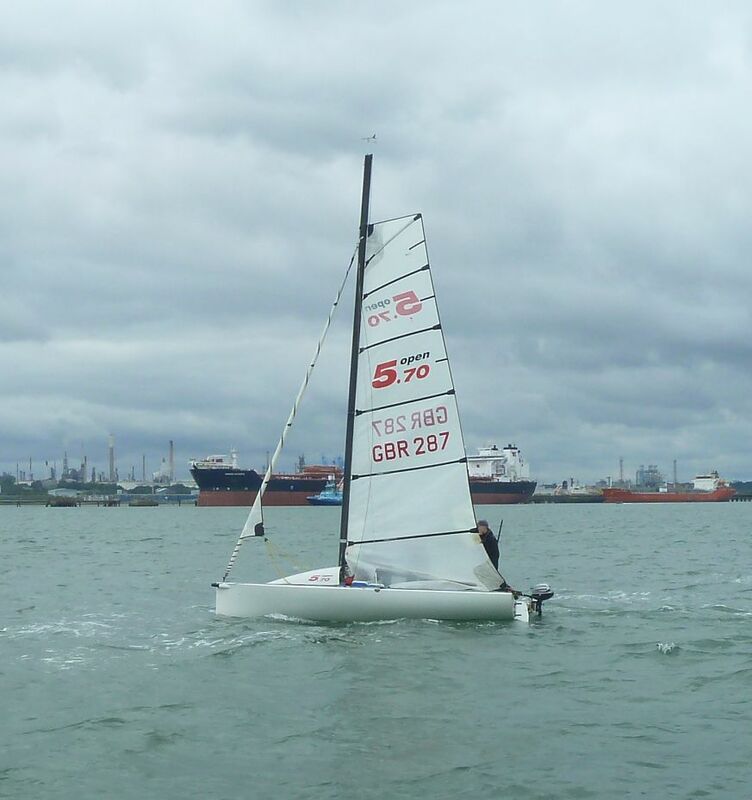 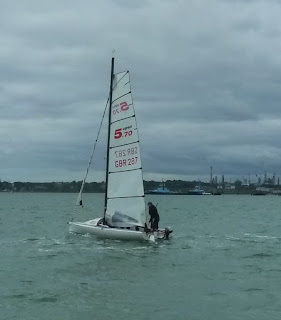 The boat was black, about 22 feet with 150HP outboard, so suitably kitted up in wet weather gear, we headed out into Southampton water . 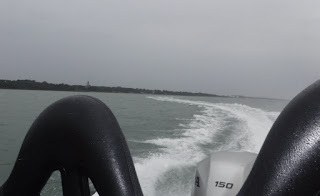 On the first pass the visibility was dreadful and probably fortunate that I know my way around pretty well, but as we approached cat head off Hamble things cleared a bit. 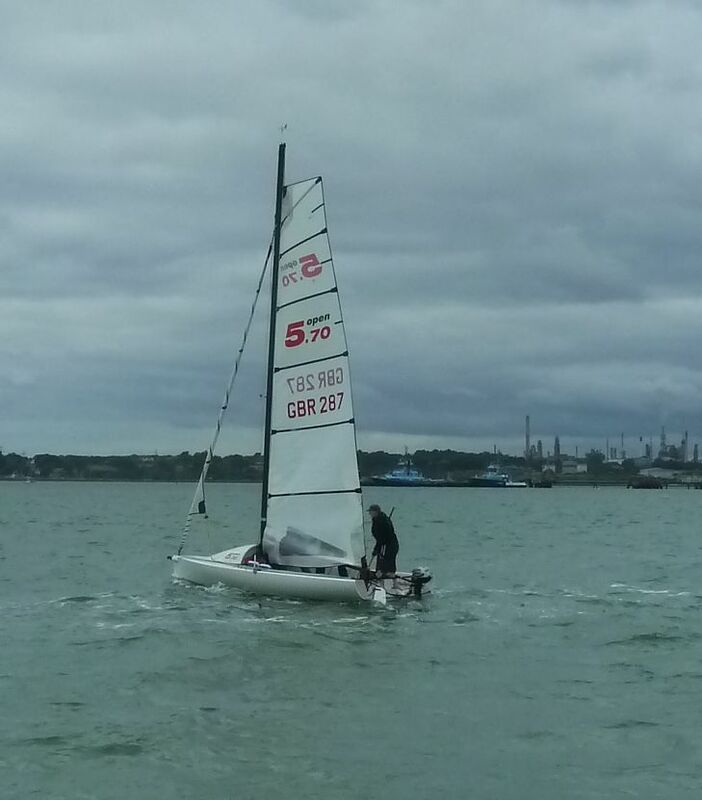 Above Joseph getting the hang on things as we storm up past Netley, below big brother Duncan had a permanent grin the whole time. An 8 meter class from 1930's which after a long history abroad returned to England in 2007. 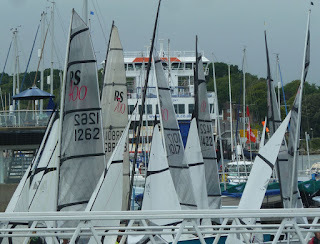 From another era and great to see these boats active and sailing in the Solent. 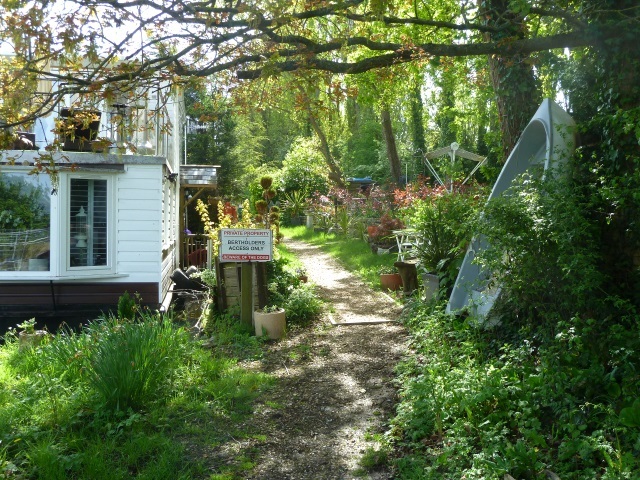 Whenever we pass by this spot on the old Chichester canal near Birdham I'm taken with the tranquillity and peacefulness. 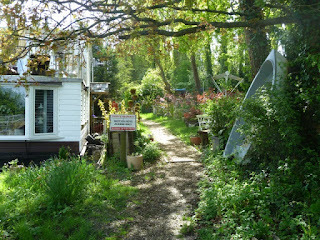 It's like a small retreat, secluded and protected from everything around it, where time can pass slowly. 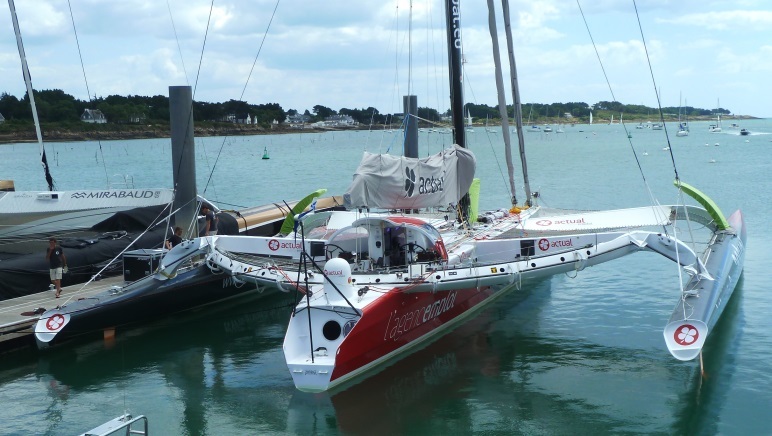 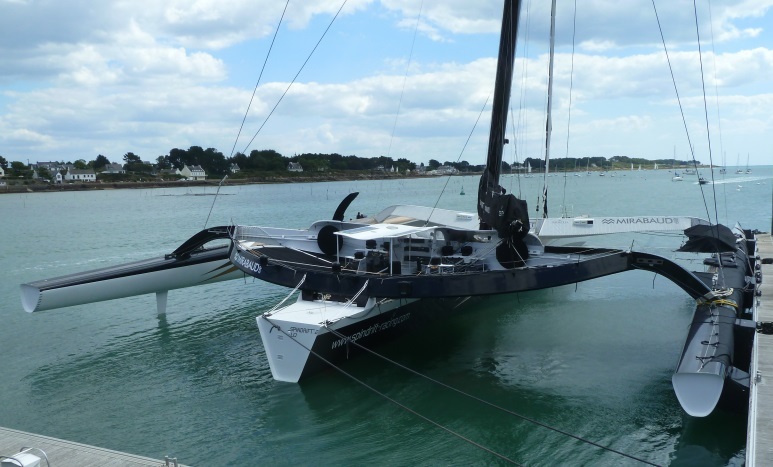 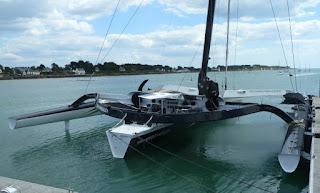 La Trinite sur Mer is the home of big ocean racing trimarans and we weren't disappointed when we visited. I can't help thinking of that the yellow one above as the nautical equivalent of a motor bike. 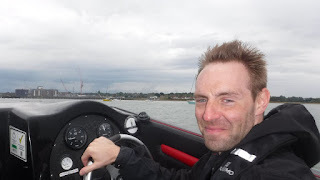 Yeah, it might be street legal and it might have room for a passenger, but really it's just meant for going fast. 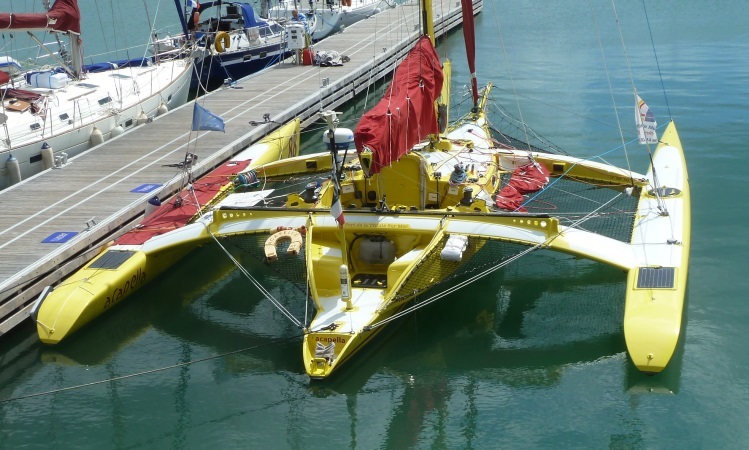 If I understand correctly this beast was designed by Nigel Irens and Benoît Cabaret. 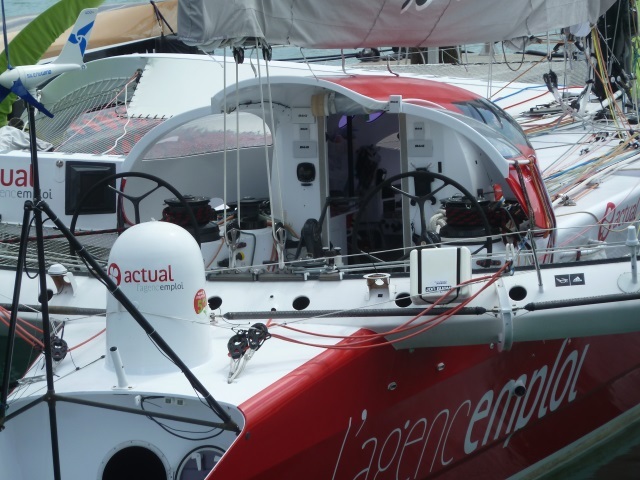 Campaigned by Team Actual, having completed two world tours including a place on the Route du Rhum, she holds North Atlantic and Trans Mediterranean records, including "several solo or with a crew reduced deckchairs" which probably doesn't translate that well. Don't you just love those cockpits, more aeronautical that nautical, you wouldn't want to fall off one at speed. Despite being a hull short, I couldn't help admiring this rocket ship, especially the paint job and those wild foils. 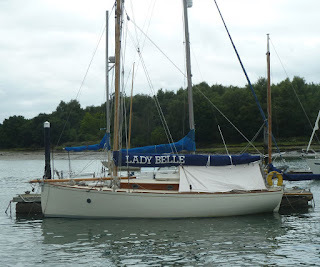 A recent arrival on the river, or at least I hadn't spotted her until recently Lady Belle is a Gaff Yawl built by Harley Mead in Cowes during 1909. 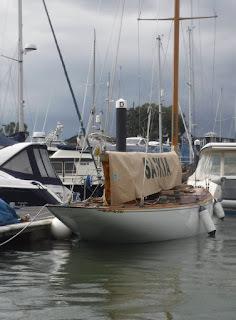 Commissioned by an RCC member with a strong influence from the Falmouth quay punt. 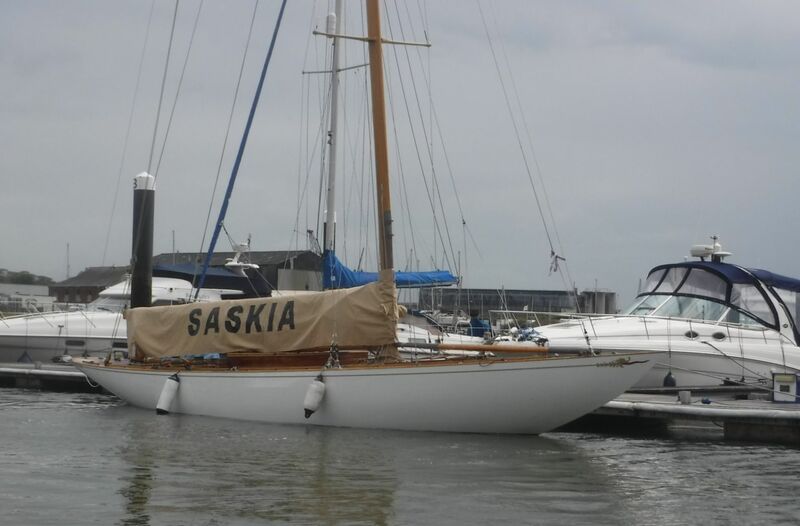 By the early noughties she was in poor condition but fortunately rescued and restored and now raced regularly in Solent OGA events. 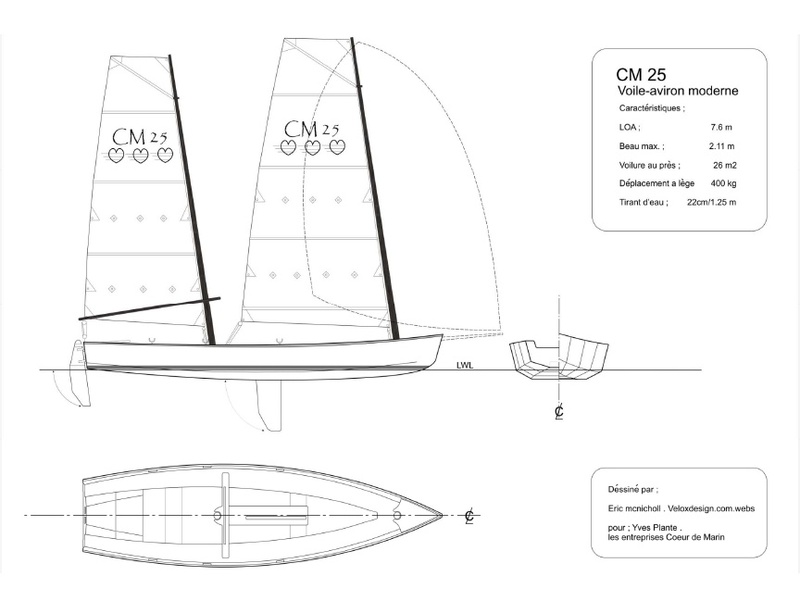 CM25 - a modern Drascombe? 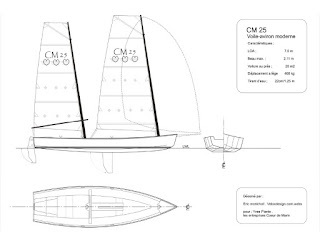 Very interesting French Canadian designed boat the CM25 - the site is in French so a bit of work with google translate might be needed. 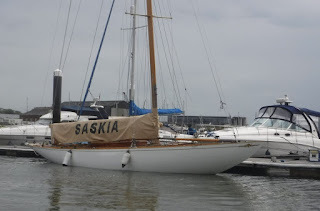 At 25 feet it's a much bigger boat that the standard Drascome Lugger which is 18 feet or even the 21 foot coaster and the CM 25 appears to be designed for sail training. 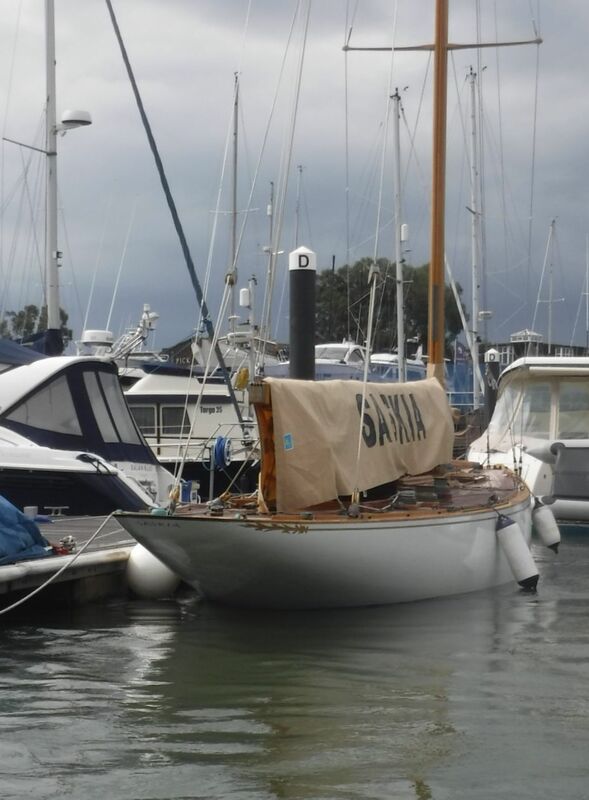 Maybe it could be scaled down slightly, the plus points are the free standing masts, high profile foils and especially the kick up transom mounted rudder which will be welcome by anyone who has struggled with the Drascombe drop in rudder launching or landing in shallows. 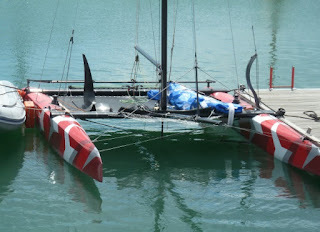 That asymmetric adds a whole new dimension, should be a lot of fun. 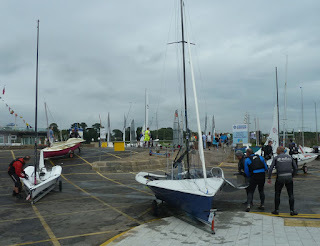 The wind was probably a little bit too strong but everyone appeared to be having a good time -lots of expensive boats and equipment.